Sea Girt Spine and Rehabilitation is committed to helping patients live the healthiest lives possible—both physically and emotionally. Anxiety becomes a negative emotion when it alters the ability to live a full and active life. Anxiety might occur after an auto accident; during the rehabilitation process; while attempting to overcome an addiction such as smoking; or when trying to lose weight. We’d like to offer a drug-free, safe, and healthy method of reducing anxiety and getting back to life – Acupuncture. Anxiety is an emotional state that produces very real physical effects. For some, anxiety manifests as sweating, racing heartbeat, and insomnia. Other symptoms include shortness of breath, headaches, stomach problems or diarrhea, fatigue, and dizziness. Depression often accompanies anxiety, and may exacerbate the condition. These two psychological issues sometimes produce a vicious cycle that escalates into severe anxiety and depression; in many cases, the problem is connected to additional problems such as substance abuse, obsessive-compulsive disorders (OCD), and eating disorders. From the perspective of Western medicine, acupuncture produces a physiological response in the body that can fight both pain and anxiety. The practice of acupuncture helps the body to release endorphins (natural painkilling chemicals) as well as serotonin into the brain. Endorphins work to calm the body in patients who are anxious or stressed. This ancient practice also improves circulation of the blood throughout the body, oxygenating tissues and cycling out cortisol and other waste chemicals. 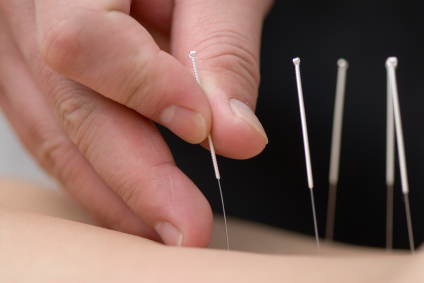 In addition to soothing anxiety, acupuncture relaxes the muscles and lowers blood pressure. The Chinese Medical perspective holds that Acupuncture frees up blockages in Qi, the body’s life force. Acupuncture points serve as openings to the body’s meridians; when these are liberated from unhealthy blockages, energy can begin to flow smoothly once again. This can help to alleviate the symptoms of anxiety as well as relieve the anxiety disorder itself. The practitioners at Sea Girt Spine and Rehabilitation are New Jersey Certified and have years of experience in treating emotional and physical pain through Traditional Chinese Medicine. Please contact our office to learn more about Sea Girt, NJ Acupuncture for anxiety.